A COUPLE of hops and a skip and the J.C. Caffyn Indigenous Drivers Plate was as good as over at Tabcorp Park Menangle yesterday. Drawn wide in the 1609-metre dash, that run to the first turn was always going to be a vital one for all concerned. And the two favourites, Italian Delight ($1.70) and Heza Bromac ($3.90) made sure it was no place for the faint-hearted as their two drivers both put their foot to the floor, desperate to find the front. Josh Aiken, the widest runner with Heza Bromac, was the successful one as the hectic skelter caused Italian Delight and veteran reinsman Bruce O’Brien to gallop – if only for a few strides. Italian Delight quickly regained his stride but the damage was done as Heza Bromac darted across to lead and proceeded to make a one-act affair of the $15,000 feature, scoring by 2.9m from the fast-finishing Corbie Jolt (Jimmy Brown) with $151 outsider Arcachon (Matt Coffee) third in a 1:51.4 mile. Italian Delight endured a tough run and dropped out before the home turn to finish last. 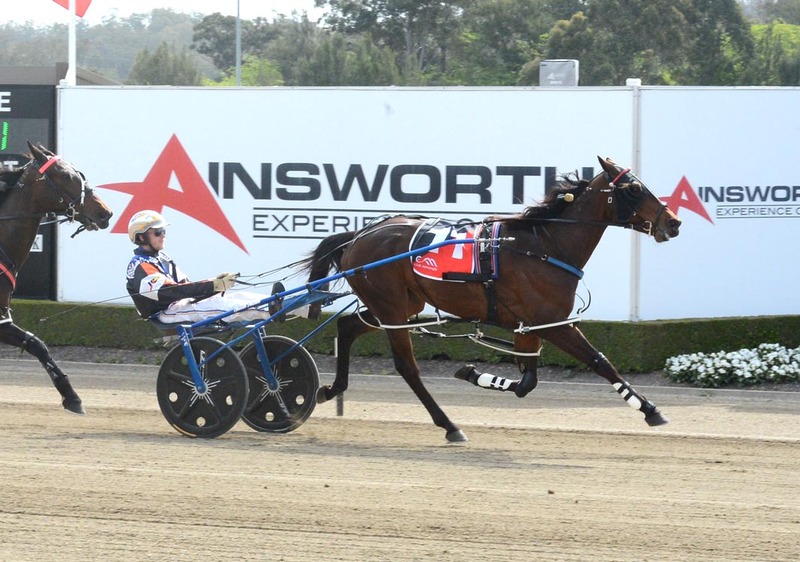 It was Aiken’s first win in this Indigenous Drivers’ series and the young reinsman, who is the son of former premier trainer David Aiken, savoured his success. “I have to thank Jimmy (Brown) and David (Caffyn) for their work in this series. It really comes down to who gets the best horse,” Aiken said. “It’s very exciting, I haven’t even come close to winning this before so I feel like this is a real privilege. “It was a bit funny at the start. A couple of runners made mistakes because everyone wanted to come out fast. “But once I found the front I always thought we’d be pretty hard to beat. “I was lucky to get a good horse in the heat as well so that made qualifying for this final that much easier. “I’ve grown up with Jimmy, he’s like family and it is always great fun racing against him. The same goes for racing against all those drivers . . . it’s a lot of fun..